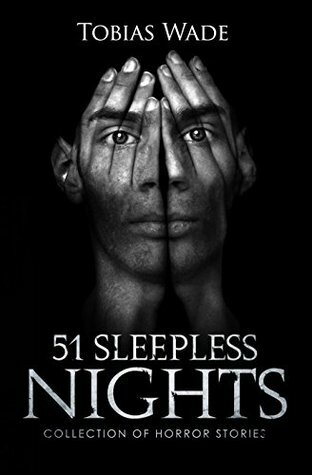 51 Sleepless Nights, by Tobias Wade, is an anthology of horror that delves into the terrifying realms of the abnormal, all the while tearing away the certainty of a perfect society. Each story carries its own disturbing narrative and twists. From murdering people and harvesting their organs, to taking control of the wicked with an army of spiders, to even casting away an unwanted son to another dimension, each story has a dark lesson in them. Never taking a life for granted, no matter how twisted, was one of the many themes found in this collection that would haunt even the darkest corners of your memories. The characters were all frightening in their own way. Some had abandoned reality for the sake of living a dream, while others allowed fellow humans to suffer, just because it felt right. Either way, it was these characters that kept me wanting more. For instance, there was one story where a mother had refused to abort her child, no matter what anyone said. At first, I was happy that she would get her precious baby. However, when I realized that the baby was stillborn, and she casually mentioned sewing its eyes shut, it was more than enough for me to hesitate for a moment. Through this anthology, Wade showed that monsters really did lurk around every corner, whether it be in another dimension, or in our own, demented minds. These characters have fallen through cracks of society. They’ve gone so far they don’t know how to get back, and that terrifies me. Overall, I would give this book a rating of a 5 out of 5 stars. The characters, narrative, and seemingly uncompleted endings made me want more. I also enjoyed how Wade played with the perceptions of normalcy, leaving a dark, foreboding feeling with each story I read. Thus, I would recommend this book to fans of the Gothic genre, horror, and psychological thriller.